The Circa 8 Track has a gray design with red lettering on the approximate tongue. 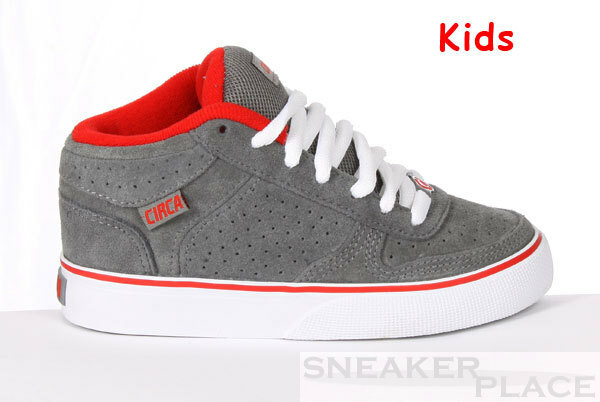 The skate shoe comes up on the ankle and a red lining. This is a falling down while skating very helpful to avoid serious injuries at the ankle.